If you haven’t heard, UUCWC is growing, and growing rapidly! Currently, we serve 286 members, 24 Friends, 60 Participants and 20 Attendees for a total of 390. Our membership number is up 21% … read more. Once monthly UUCWC board members hold a Board Chat between Sunday services. It is a chance for church members check out what is going on with the board, and the church. What are current issues, what is on the hot seat and what has been … read more. The concept of covenant is most central to my understanding of what it means to be a Unitarian Universalist today. “We, the member congregations of the Unitarian Universalist Association, covenant to affirm and promote” – and our Principles follow. In the children’s Religious Education program, every … read more. Did you ever wonder about the Board of Trustees? 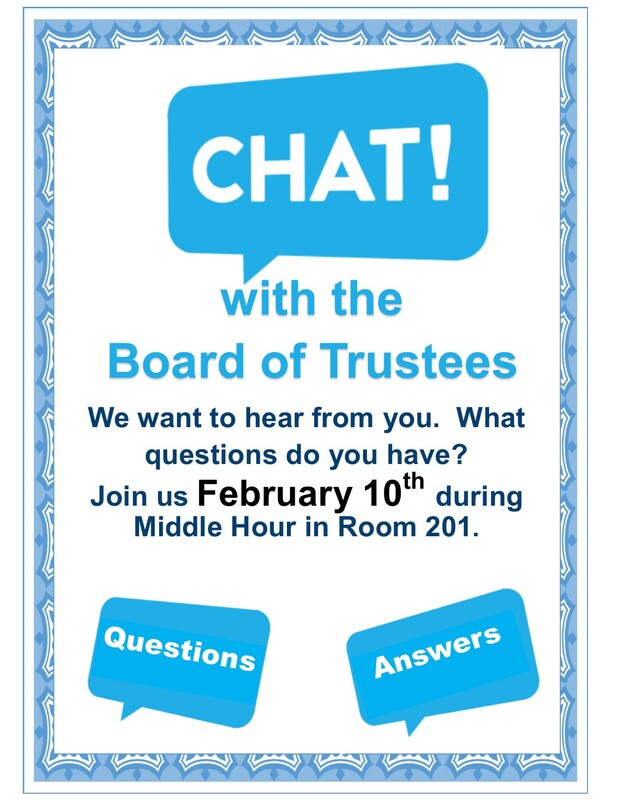 This Sunday several members of the Board of trustees will be holding its monthly question and answer session called a “Board Chat”. Join us on Sunday, … read more. I have attended many committees meetings before for church and work, never a board so this was something new for me…At the first meeting I was immediately struck by the efficiency of the meetings; the agenda is followed (amazing) there is a … read more.